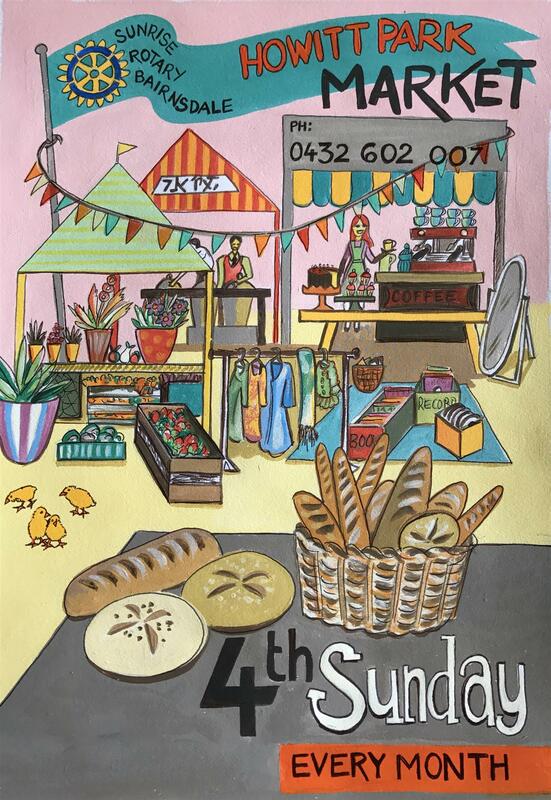 The Howitt Park market is a thriving, community market run by members of the Sunrise Rotary Group Bairnsdale on the 4th Sunday of every month from 8:30 am to 1:00pm. The Howitt Park Market is one of East Gippsland’s premier country markets and is renowned for its family friendly atmosphere with up to 155 stalls each month. You will find fresh local produce, arts, crafts, jewellery, plants, tools, furniture and more! You can visit your regular stallholders or try something new. Sunrise Rotary Market workers on the day are Rotary Club volunteers and the money goes back into our local community as well as some overseas projects.